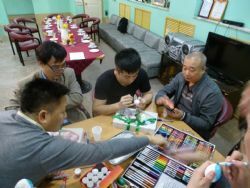 –05.10.2018Chinese crew visited “Handicraftsman City” of cultural center. Seafarers can order marine club bus by phone: 8 (4236) 65-62-50, or through the marine agents. 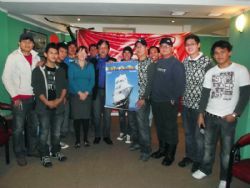 Seafarers can order marine club bus by phone: 8 (4236) 65-62-50, or with a help of their marine agents. 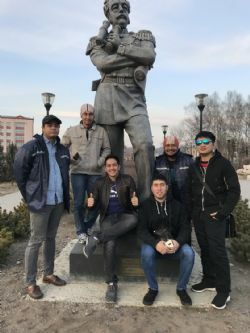 At the disposal of seafarers are International communication services: Internet, Skype, Wi-Fi, Sim and Express(recharging) cards for mobile phones. We offer seamen to take the excursion or sight-seeing tour around the town by marine club bus, visit museum or go shopping. The most popular entertainment of seamen in the bar is karaoke. 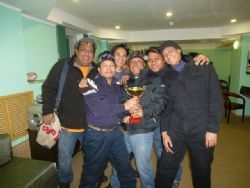 Quite often there are competitions among seamen and the winners get prices from the Club. 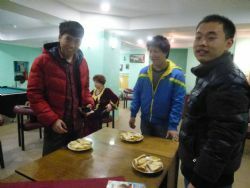 Our guests may drink a cup of coffee, listen to the good music and have a good rest there. 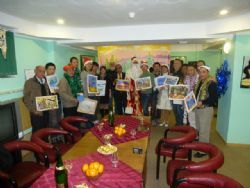 For memory the guests of our club may choose some souvenirs by the cheapest prices which they mostly liked. 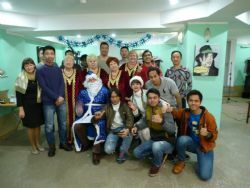 Many entertainment programs are held for seafarers every month: concerts of popular rock and classic music, drawing competitions, funny games and sport competitions, master-class of wood spoons play, parties of Russian romances or Russian poetry, Christmas party, Valentine day and many others. 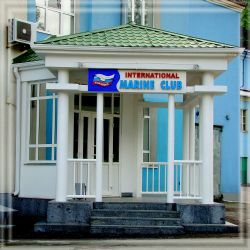 Nakhodka International Marine Club is the only marine club in the Russian Far East. It was established in 1958. 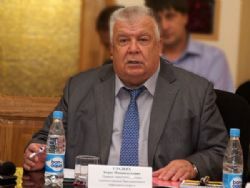 The main activity of the Marine Club is providing welfare services to the screws of the ships calling in the ports of Nakhodka and Vostochny and their families. 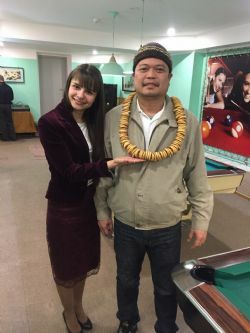 The visiting seafarers are offered a wide range of services, like international communications, library, video collection, sightseeing tours around town, post services, Internet, satellite TV, entertainment programs, sports games, transportation. 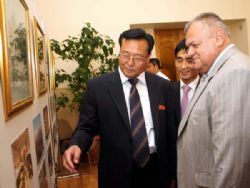 In 2000 the building and interiors underwent capital repairs and reconstruction. 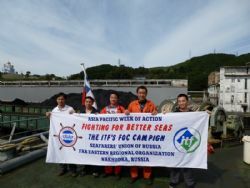 This became possible thanks to financial support of the ITF Seafarers’ Trust. 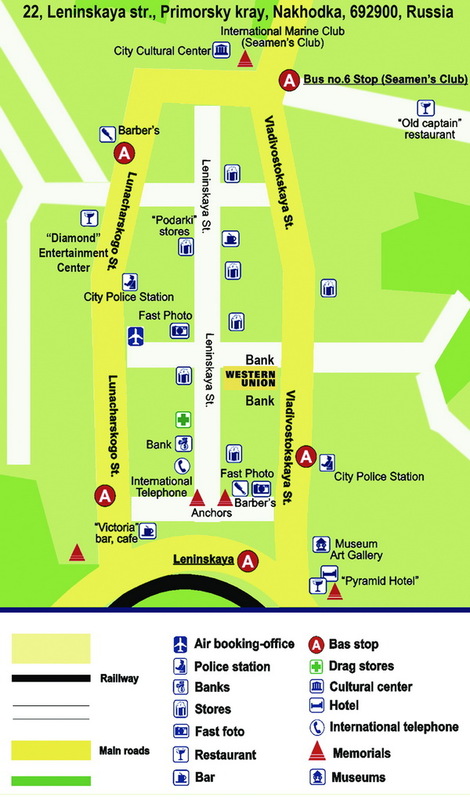 Presently our club is located on 3 floors and its total area is 800 square meters. On the ground floor there is a sports complex, where the seamen can play billiards, table tennis, chess, computer games, or they can exercise with gym apparatuses, or just watch satellite TV. 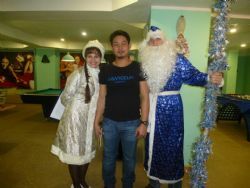 On the first floor, in the lobby, there is a small souvenir shop, where our guests can buy various Russian souvenirs. There is also a cloakroom, Captains’ room, bar. The most popular entertainment of seamen in the bar is karaoke. Quite often there are competitions among seamen and the winners get prices from the Club. On the second floor there is a concert hall for 200 spectators. 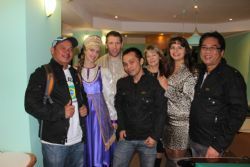 Seminars, forums, classical music concerts, celebration parties are held there. There is also a library with a wide choice of books and video collection in English. 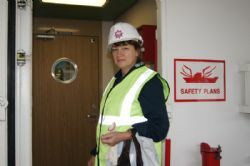 Many books are given to seamen free of charge. Besides, there is a special conference room for important meetings and conferences on the second floor. 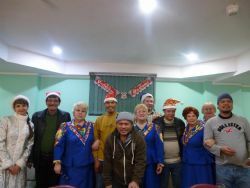 Lots of parties are held for seafarers and their families in our Marine Club, like celebrations of Christmas, Maslenitsa, Russian Easter, Halloween, celebrations of seamen’s birthdays, jubilee ship’s call in Nakhodka etc. 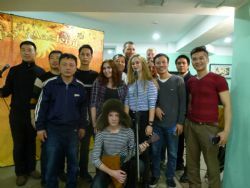 In addition to this, we organize concerts of classical music and Russian folk music. We try to make every event unforgettable and bright. 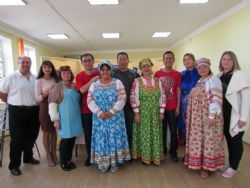 This comes easy with the help of volunteers – students and citizens of Nakhodka. 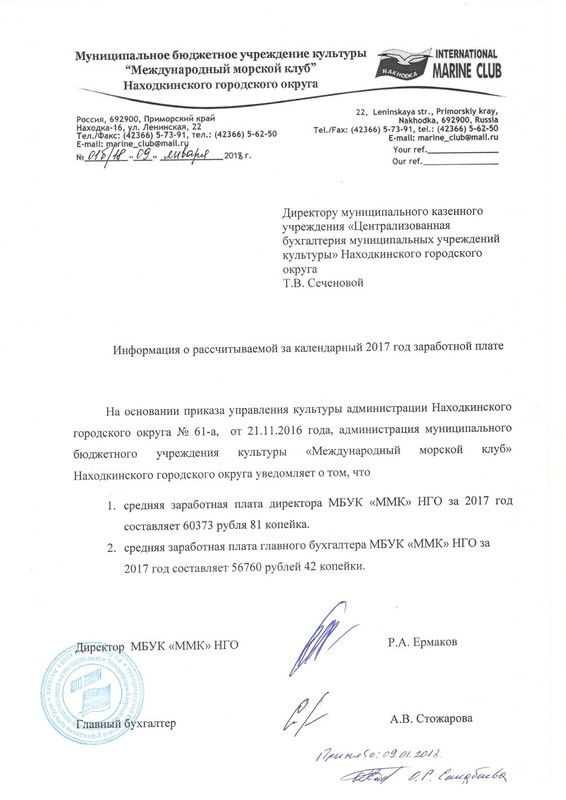 According to our statistics, somewhat 6000 vessels call in Nakhodka annually. One of each three vessels is a foreign crew vessel. 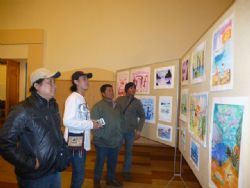 Mainly, the crews are from the countries of Asian Pacific Region. 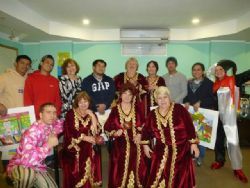 They are the main and frequent visitors of our Club. Usually, the period of ships stay in the port is rather short and the seamen don’t have enough time to visit the club to rest and entertain after heavy duties. 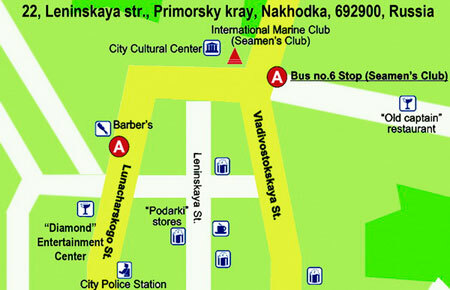 To solve this problem, we offer free-of-charge bus service for fast and safe delivery of seamen to/from our Club. 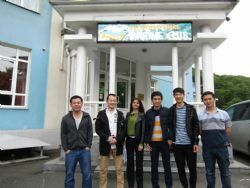 Foreign seafarers highly appreciate constant care and support and warm hospitality of the Marine Club staff. 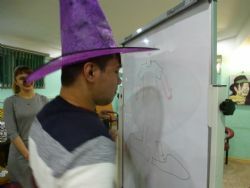 This is clearly seen while reading their opinions in the visitors’ book. 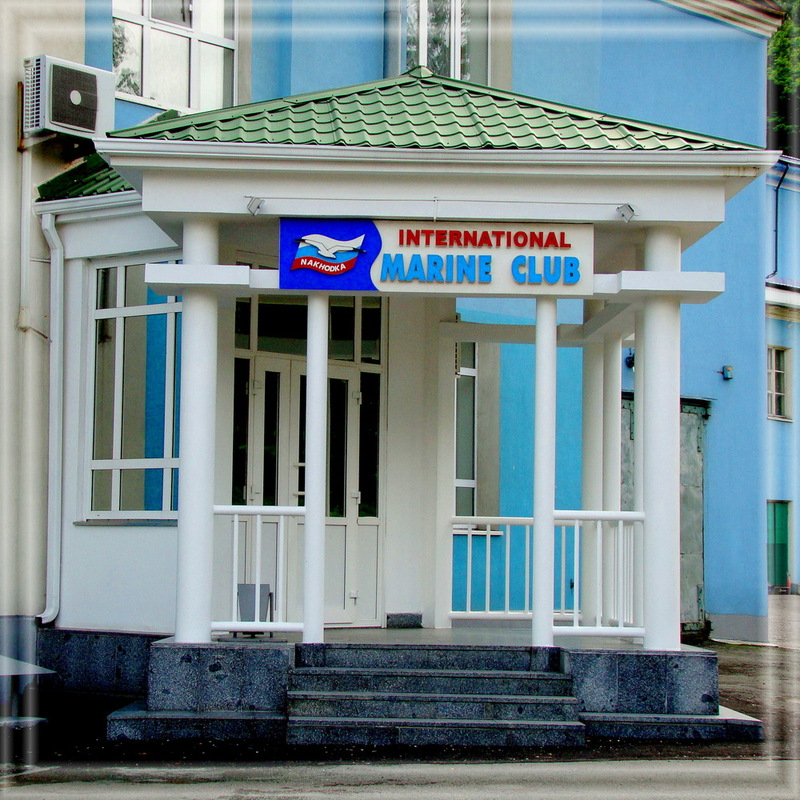 Nakhodka International marine club is a municipal culture institution, which provides services not only to visiting seafarers, but also to various foreign delegations and we are always happy to welcome citizens and guests of Nakhodka in our club. 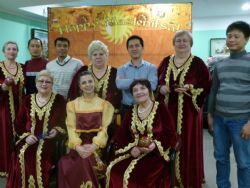 –14.02.2018Maslenitsa comes to Nakhodka Marine Club. 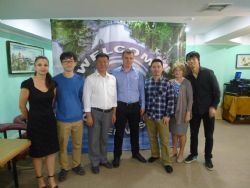 –29.06.2016The Jubilee vessel of Nakhodka Marine Club. 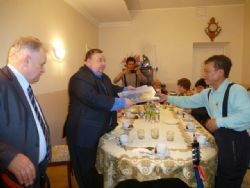 –04.02.2015А meeting of Vietnamese seamen with the workers of Seafarers Union of Russia in International Marine Club. –03.02.2015The seafarers like to play checkers. 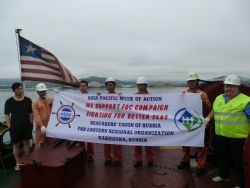 –25.06.2014The week of actions under convenience flag has started.